Today I will be sharing a *bracelet from a lovely company called Charming Creations. This is a brand I discovered through blogging and they sell adorable jewellery and accessories for people of all ages as well as gifts for the home such as wooden plaques and signs. Charming Creations is based in South Wales in the UK and has been around since 2013. I’m so glad I discovered this brand because their products are adorable (and some are even customisable)… there are so many I could buy for myself or my friends! 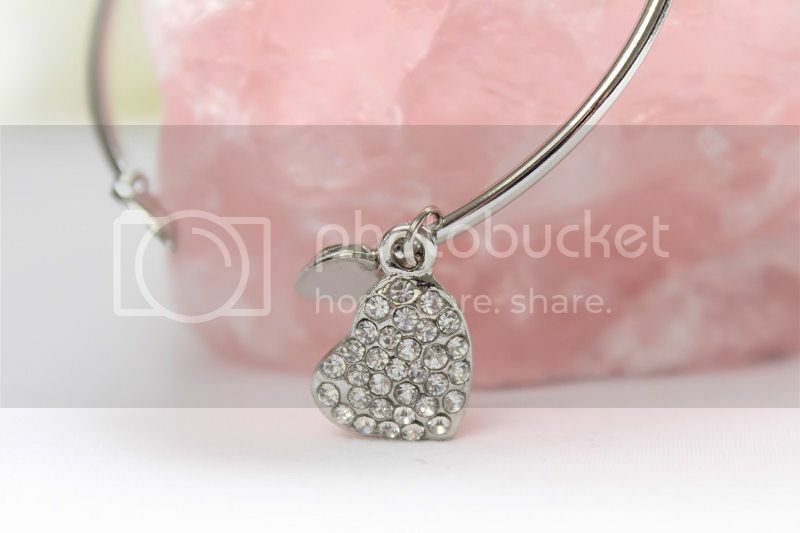 Now you know a little about Charming Creations I want to talk about the gorgeous heart bangle bracelet pictured in this post. This is exactly the kind of jewellery I like to wear because it is delicate, feminine and simple. I know the trend at the moment is to wear large statement jewellery and although I think they look good on other people, whenever I try to wear it they just don’t seem to suit me. Instead, I’d much rather have a smaller delicate piece. This silver bangle is easy to wear and I often wear it during the day to add a little something to a simple day time outfit. I love the small heart details at each end of the opening and the heart charm which is full of diamante’s on one side and heart cut outs on the other. 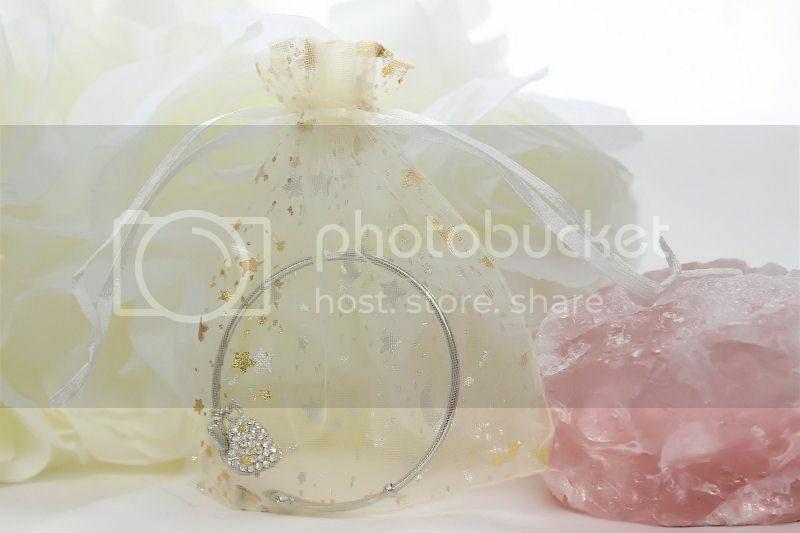 This bangle is a really pretty piece which could suit a variety of ages and I really like it. 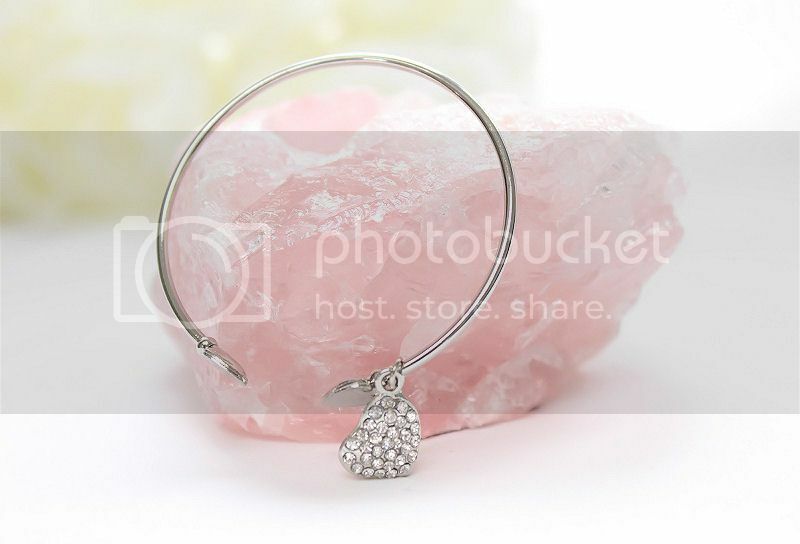 You can buy this gorgeous heart bangle from the Charming Creations Website for £4.00. They also have a Facebook Page and Twitter if you want to find out a little more about them. I would definitely recommend checking out their website as their products are adorable! Wedding | October Wedding Update! This is really pretty looking, something one of my sisters would adore I am sure. Thank you! I've been working really hard on my photography so that means a lot. You've made my week! This bracelet is classy and simple yet elegant. I love the price as well.